Warning: Very graphic images below. 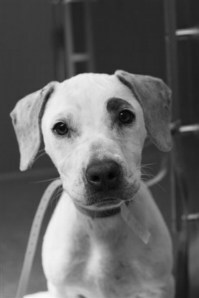 When I left the Tompkins County SPCA is 2004, I had a mission: to spread the No Kill Equation, the model of sheltering that had created the first No Kill community in the nation’s history, to the rest of the country. To do that, I founded the No Kill Advocacy Center, and planned to offer seminars for shelter staff who were interested in embracing No Kill. 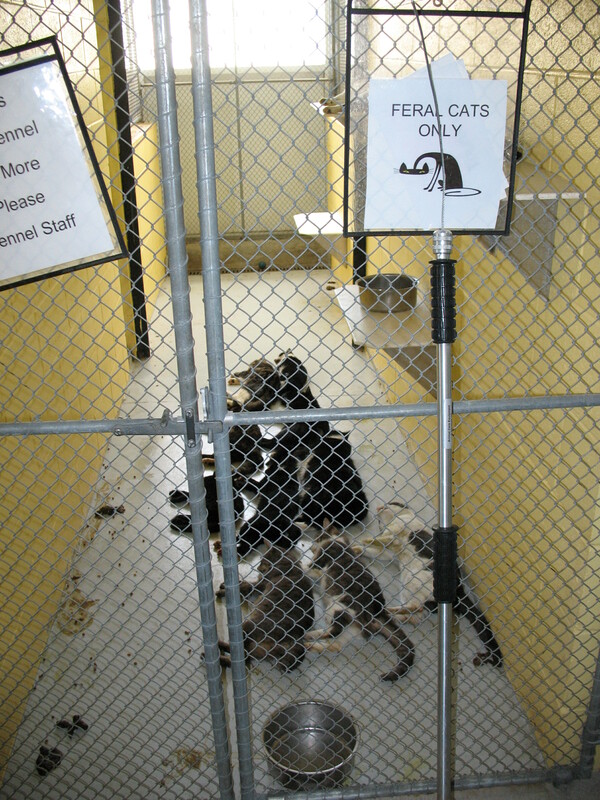 At that time, while I understood that most shelters in the country were not comprehensively implementing the programs and services that save lives, I believed that if I could overcome the historical inertia of the large national organizations on this issue by taking my message straight to the animal control directors myself, that I would find many eager individuals ready and willing to embrace a brighter future. Looking back, I realize how incredibly naïve I was. First, to believe that the animal sheltering industry would welcome the news of how to end the killing they had publicly been bemoaning for so very long, but also at my expectation that although our nation’s shelters were killing an extraordinary amount of animals, that at the very least the managers at these shelters ensured that the shelters were clean, that the animals in their care were fed, had access to fresh water, were given medical attention, and were, during their stay, at least free of neglect or abuse. Given the tragic reality of our nation’s shelters, and given what a vocal critic I have since become, I know that it must seem almost comical that I ever held such a view. But I did. 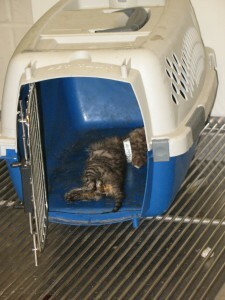 Because back then, even though I knew – in fact had experienced firsthand – the vitriol against the No Kill movement by HSUS, the ASPCA and other large, national organizations, I believed that at the very least, these organizations were regulating our shelters by promoting and ensuring basic standards of care, as they have claimed, and still claim, they do. Sadly, as I traveled the nation visiting filthy, abusive shelter after filthy, abusive shelter, and as word of my work spread and I was increasingly contacted by activists and rescuers nationwide who were battling the cruel and regressive shelters in their own communities, I came to realize that I had as much to learn about the state of animal sheltering in the U.S. as I had hoped to teach the animal sheltering industry. And what I learned was that the reality was much worse than even I could have ever imagined. 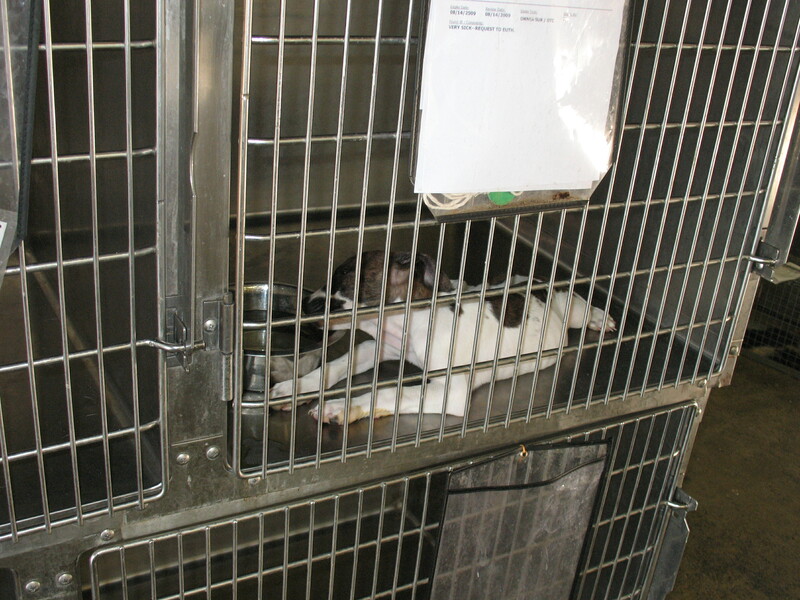 The dirty little secret of the animal sheltering industry in the United States is finally out. Too often, our nation’s shelters, in addition to being little more than death camps, are also torture chambers. Completely unregulated, and historically receiving no guidance or oversight from any of the large, national animal protection organizations, our nation’s shelters are much too often places where animals are abused, routinely neglected, allowed to slowly starve to death, and go without needed medical attention. Shelters where employees beat cats to death with pipes. 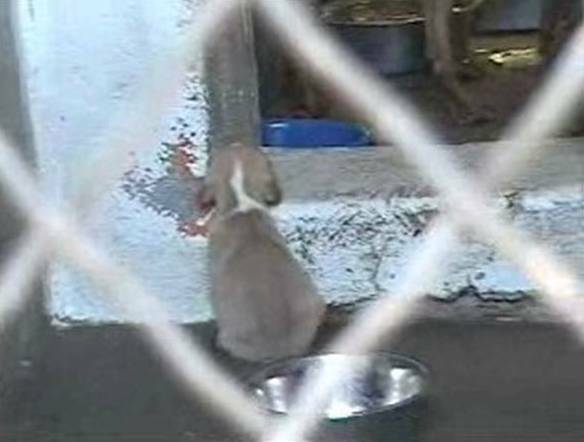 Shelters where employees throw live puppies into the incinerator to watch them burn. 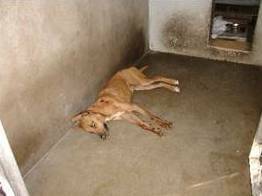 Shelters where employees throw dogs and cats together into the gas chamber so they can fight each other while they slowly suffocate. Our shelter system is broken. And in too many places, these facilities are little more than badly mismanaged houses of horrors. And I have the pictures to prove it. They say a picture is worth a thousand words. If that is true, the pictures below speak volumes. Like nothing else, they put the lie to the claim by HSUS that we are all on the same team. They show how cowardly groups are who do not support laws to ban such disregard. And they underscore how out of touch those, like Maddie’s Fund, are when they chastise us for “bash and trash” when we stand up and fight to end the abuse. Some of the photographs were sent to me by reform advocates, but I took the majority during visits to shelters across the country from 2004-2010. They will, as the title of this blog suggests, haunt you forever. If you cannot stomach it, do not read further. If you choose to continue, click on each photograph for a larger view. Sadly, I have more photographs; a lot more. 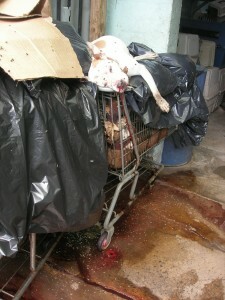 A dead dog, atop a pile of dead animals, is teeming with maggots and blood at the Associated Humane Societies in Newark, NJ in 2009. 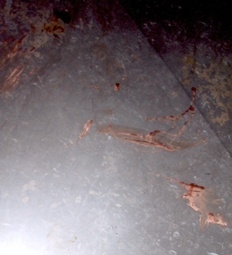 The white specks on the floor are maggots in a pool of blood. 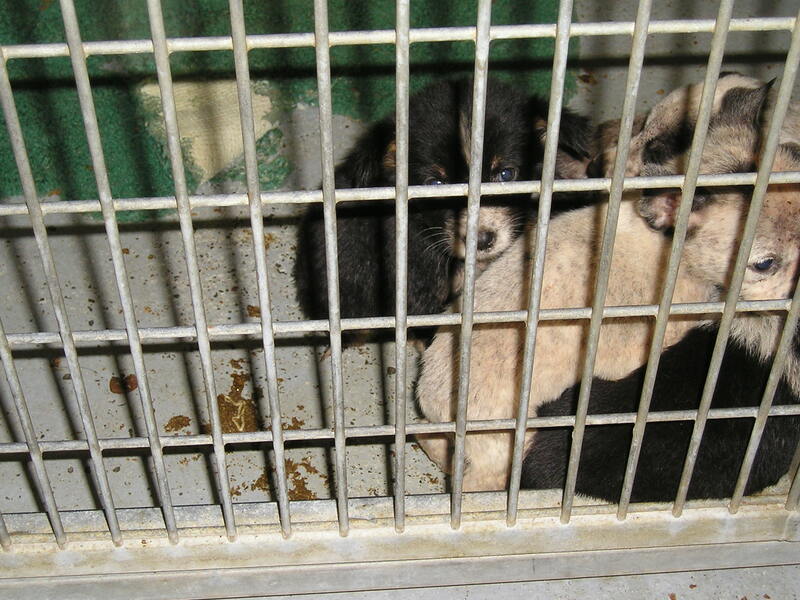 The shelter takes in $8,000,000 a year but has a long, sordid history of animal neglect. A puppy as he enters Memphis Animal Services. 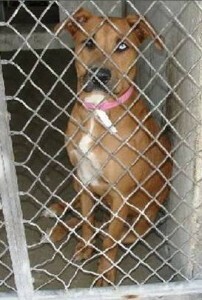 The same puppy near death from starvation after weeks in the shelter’s custody. They refused to feed him. 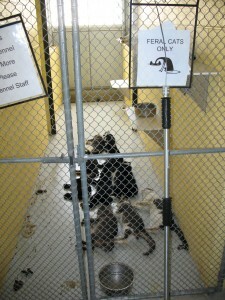 The “feral cats only” kennel in Collier County, FL’s animal shelter. Terrified cats were forced to watch other cats be killed and many of them defecated in fear as staff hunted them down with catchpoles. They were then lined up dead in neat piles after a mass kill. The director did not believe in TNR because cats “might” suffer on the street. 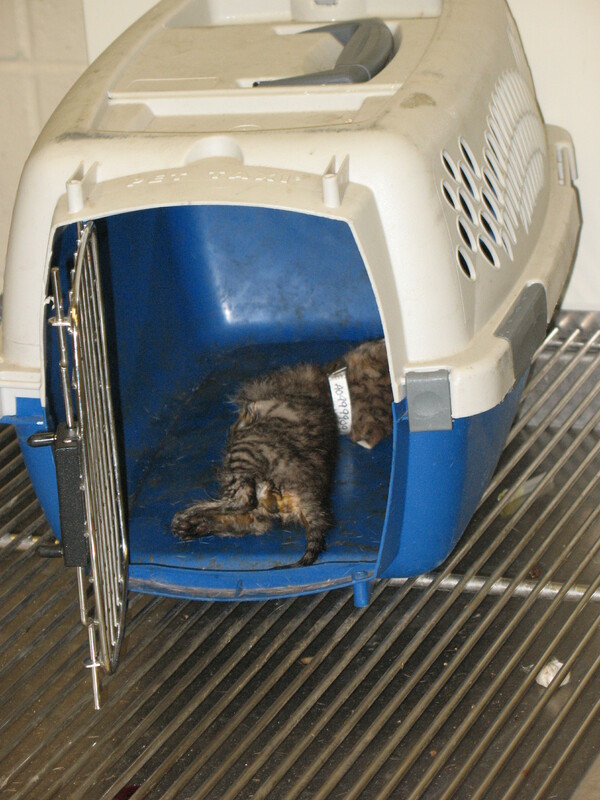 A kitten lies near death in a filthy carrier at Houston’s BARC. 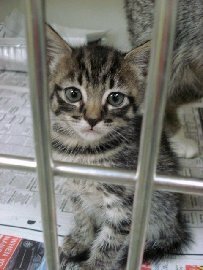 The shelter “lost” this kitten and found him a day or so later, near death. This photograph is not “graphic” but it speaks volumes. An empty plate, a bone-dry water bowl, a filthy cage: A cat reaches out, begging for food and water. Staff at King County Animal Care & Control outside of Seattle, WA did not provide food or water over a three day weekend. A 10-month old dog enters Los Angeles County’s animal shelter healthy, and slowly begins to die of pneumonia and starvation. She was subsequently found dead after a period of several weeks. Staff claimed no one noticed that she was not eating. 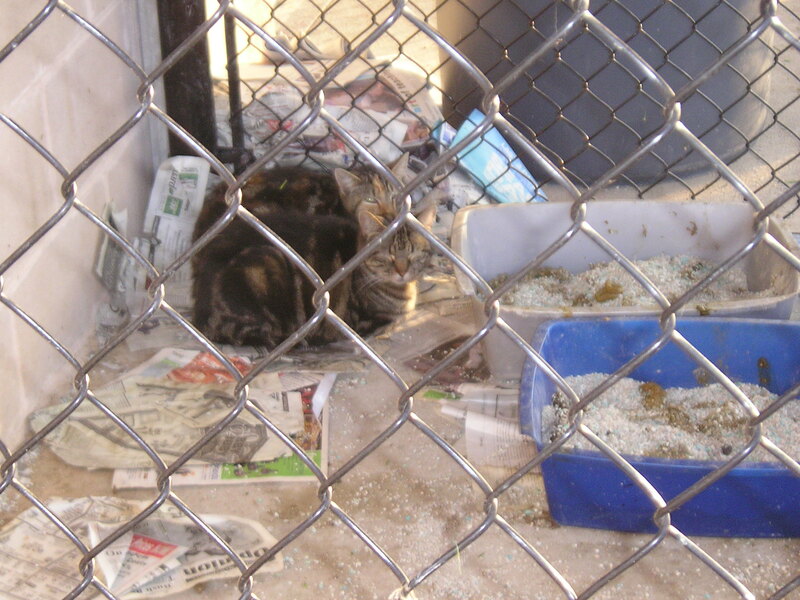 The feral cat pen in Henry County, GA. Aside from being filthy, cats were found poisoned with antifreeze. Only shelter staff had access to the pen and advocates believed it was retaliation for demanding better conditions for them. A kitten before and a kitten after. 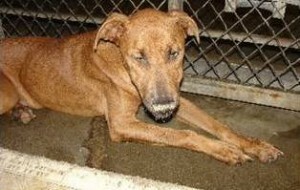 Yet another animal who goes unfed and uncared for while in the “care” of a shelter mandated to protect animals from harm. Sad to say, I can’t even recall what shelter this was. A rabbit furiously tries to drink water from an empty container in Los Angeles. 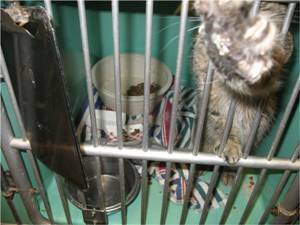 This follows promised reforms after what has become known as “Spinal Monday.” Staff did not take care of the rabbits who began cannibalizing other rabbits in the face of starvation. 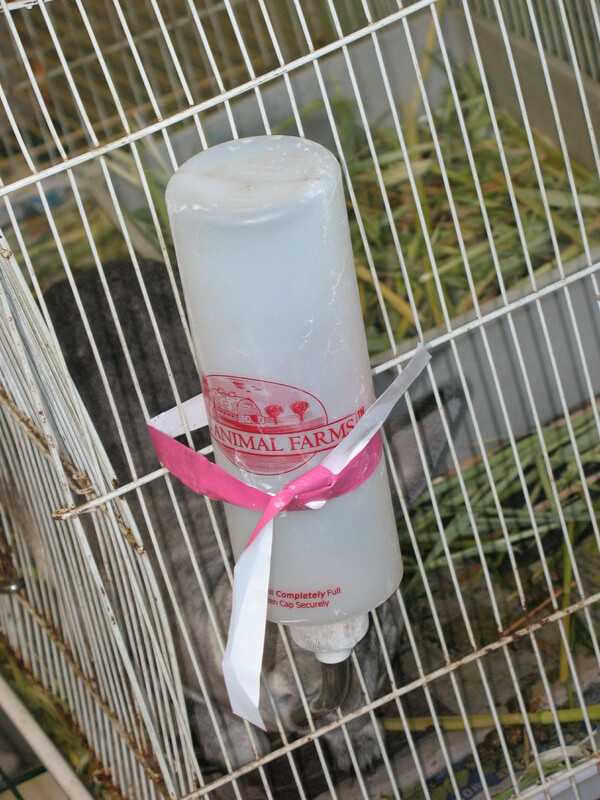 When they were discovered on Monday, one of the rabbits had an exposed spine as other rabbits began eating him alive. 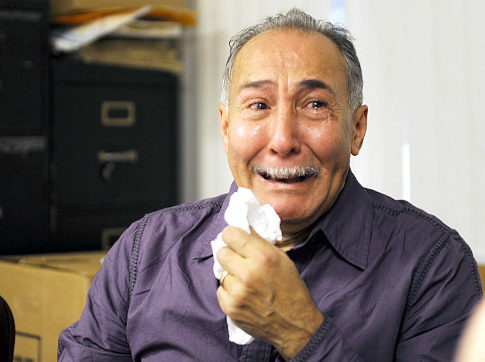 A dog owner cries as he recounts how his dog was kicked to death by an employee of the ASPCA in New York. 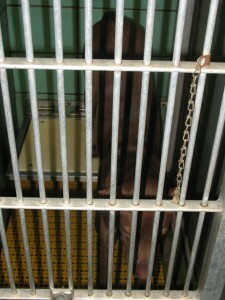 The dog was in the ASPCA’s veterinary hospital getting care. 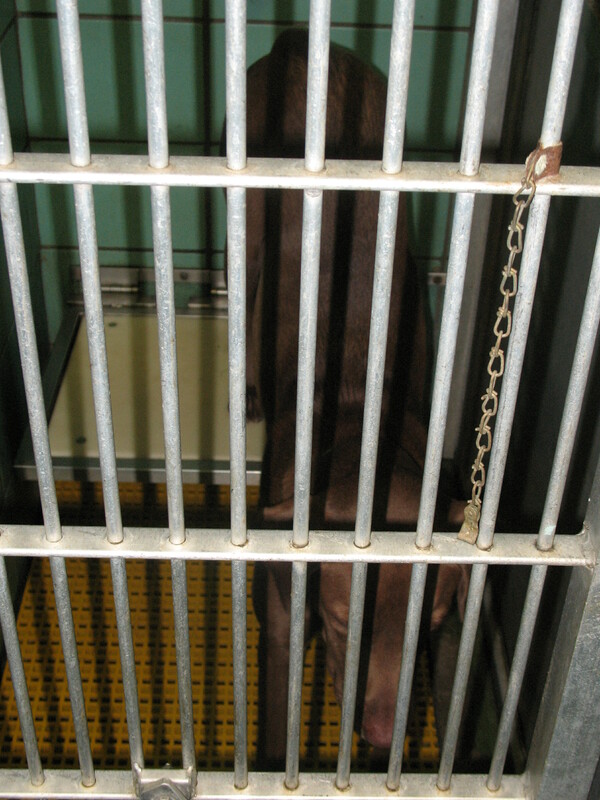 It was not the first time the ASPCA abused an animal, which they tried to cover up. Blood stains all over the kennel of a puppy who was beaten by an animal control officer with a baton in Devore, California. The officer was not fired or reprimanded. A puppy left to die on her own, her body covered in urine, nothing soft to lay on, unable to hold up her head, in Houston, TX. A dog found buried in Chesterfield, SC after staff of the shelter used him for target practice. They also used dogs for fighting and beat cats to death with pipes. 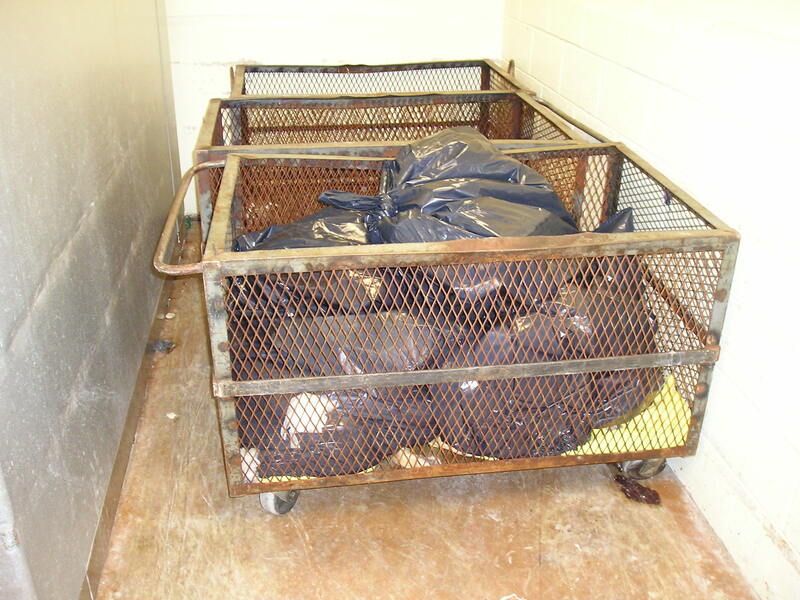 Dead animals thrown in garbage bags in Philadelphia, PA. Sometimes it took an hour for animals to die because of untrained staff and improper “euthanasia” techniques. 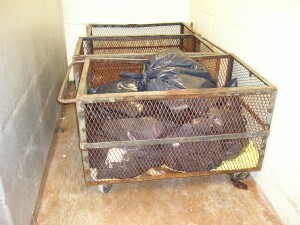 And more than one staff member admitted that they have seen the bag still moving while en route to the landfill. 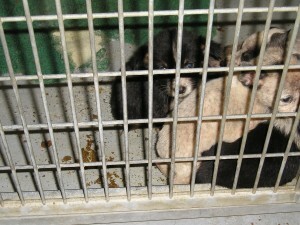 Sick puppies huddled just outside of Houston in a Texas shelter. They came in healthy, they were kept in filthy conditions right next to sick dogs, and would eventually die of or be killed for parvo caused by shelter neglect. It looks like a nice picture: a cat in a spacious “showcase” room at the Shreveport, LA shelter. 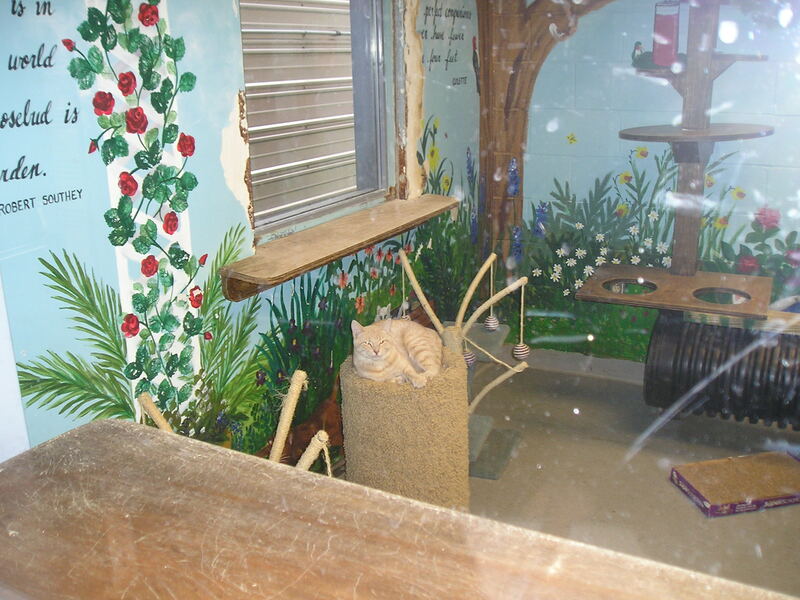 What made this so tragic is that despite killing 92% of cats and claiming to do so because of “pet overpopulation,” this was the only cat available for adoption when I visited. 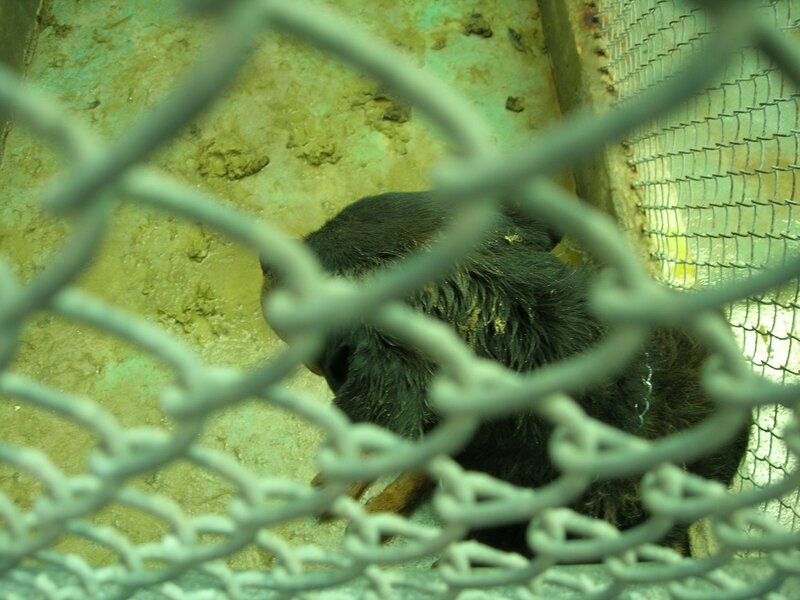 Every other cage was kept empty so staff did not have to clean them. Even this room could have easily held a half dozen cats. A puppy languishes in Los Angeles County. Unable to hold his head up, he lays it on filthy and cold concrete. He would ultimately die, while indifferent staff walked by and ignored his plight. 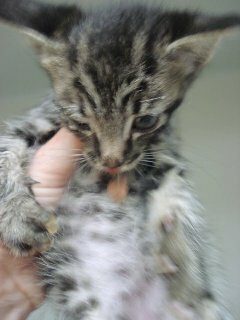 He was not the first in the litter to die without care. 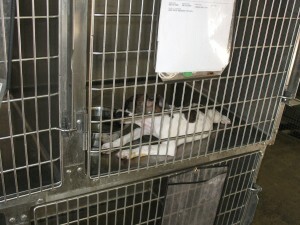 A dilapidated, tiny kennel, some of the most inadequate I have seen, in Houston, the fourth largest city in the nation. The dogs could not even stand in them, turn around freely, or lie down comfortably. Many of the kennels had open drains and staff admitted that when the dogs get their legs caught in them, by the time staff finds them in the morning, their legs are so swollen, they cannot be extricated. 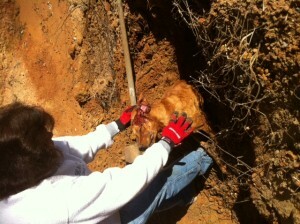 The dogs are killed on the spot before the leg is sawed off. 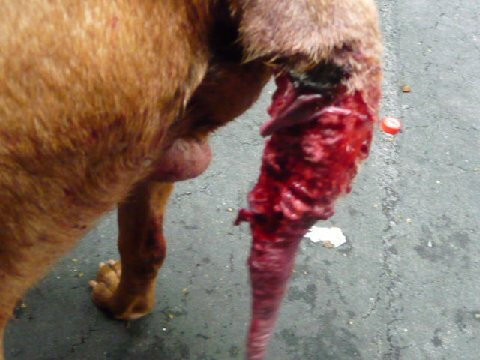 A dog ate half of his tail because NYC’s animal shelter did not provide the care he needed for an injury. In our homes, our dogs and cats are part of the family. We are devoted to them. We give them food and fresh water, a safe, warm place to sleep, needed medical care, and our love and attention. In the “shelters” we fund with our tax-dollars and our philanthropic donations, animals are routinely denied the most basic of necessities. 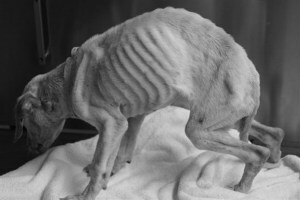 They are frequently the victims of neglect, and often, of cruelty. In fact, the first time many animals are neglected or abused is in the very shelter that is supposed to protect them from it. It is time to take our shelters back. It is time to regulate them to ensure that not only are animals no longer needlessly killed at these facilities, but that they are also treated with compassion and decency. We have the right to expect that our shelters reflect our humane values. But what we do not need are more promises that shelters will do better. We already have such promises and as the above photographs show, and as 4 million dead animals every year prove, those promises are not sincere. What we must demand are strict laws that regulate shelters; laws that force them to live up to their names and mission statements. In short, we must pass the Companion Animal Protection Act in all 50 states. Redemption Now Available as an E-Book!